Σε παλιότερη ανάρτηση με τον τίτλο "Zaragoza Successful cities.Vision and identity" σας είχαμε ενημερώσει για το enent στη πόλη της Σαραγόσα; που οργανώνει το δίκτυο Eurocities. María Teresa Fernández de la Vega, the Vice President of the Spanish Government, has confirmed that she will be attending the official opening of the EUROCITIES meeting on the 4th of November. The congress will also be attended by other important guests such as the Commissioner for EU Regional Policy, Johannes Hahn. Greg Clark, an expert on city and regional development and related investment, will be the moderator of the opening event. As local authorities progress towards meeting the firm commitments they have signed up for, the Covenant develops alongside. This workshop, part of the EUROCITIES 2010 Zaragoza conference, will provide insight into the latest developments with particular attention on how to successfully apply for ELENA assistance. - Roman Doubrava (tbc) of the European Commission DG ENER will provide an update and explain the latest developments, e.g. European neighbourhood potential or opening financial mechanisms. - The Province of Barcelona was the first to sign an agreement with the European Investment Bank for financial support from ELENA. Learn from their experience. Speaker from Barcelona Province (tbc). An important part of this workshop will be dedicated to your views and opinions – active participation is most welcome! The workshop, open to everyone and free of charge, takes place on Wednesday 3 November, 15.30-17.30, venue to be announced. 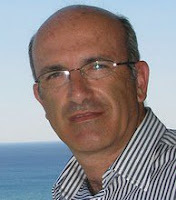 Alfonso Vegara is an architect, economist and sociologist and has a PhD in city and regional planning. He is the founder and president of the Fundación Metrópoli, which aspires to contribute to the innovation and development of cities and regions through research, sharing, and implementation of knowledge, and with the objective of building a sustainable future. The conference he will give on 4 November will highlight his vision of the main keys required in order to build cities for a better future. Visit the official website for practical information about the event, registration, and constant content updates.